On a recent consultancy job, we were told that a certain site collection was used by a total group of 100 people. Big was our surprise when we turned to the SharePoint 2010 Web Analytics feature and found the site collection had a total of around 1000 unique visitors per day. Strange, no? The definition of the total number of unique visitors per day can be found on the Microsoft Enterprise Content Management (ECM) Team Blog: http://blogs.msdn.com/b/ecm/archive/2010/05/03/web-analytics-in-sharepoint-2010-insights-into-reports-and-metrics.aspx : the total number of unique visitors per day consists of all SharePoint authenticated users plus anonymous users. In the last case, each unique IP address counts as a unique (anonymous) visitor. Then, we saw something strange on one of our dev machines. The total number of unique visitors/day on a given site collection was 7, whereas there is only one user account on this machine. So, 7 different unique visitors was impossible on this machine. Were we on to something? Intrigued, we took a look at the database. After doing some snooping around, we expected that the database WebAnalyticsServiceApplication_ReportingDB_[guid] is the database that holds the web analytics data. Using this query, we found 7 entries. This looks a lot more like the Site Collection Web Analytics Reports – Number of Daily Unique Visitors page. So, there was the answer we were looking for. According to IFABC Global Web Standards, a unique visitor is an IP address plus a further identifier (such as user name, user agent, or a cookie). If you want to know how many daily unique visitors there are, you should go to the Site Collection Web Analytics Reports – Number of Daily Unique Visitors page. The Summary page is nothing more than a summation of all days and all unique visitors. Is this a bad thing? We feel it is at least a little (okay, more than just a little). It makes sense to provide overviews of the number of unique visitors per day, week, month, year or whatever. By simply summarizing all unique visitors, soon the number of unique visitors on the Summary page goes sky high. It leads to a situation where web analytic reports show that there are 1000 unique visitors, whereas in reality there are only 100. We know it’s a summary page, but we also feel this is a situation where simple math doesn’t apply to this data and leads to confusing results. 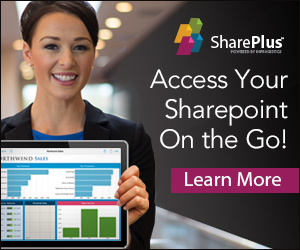 In addition to basic SharePoint 2010 usage reports which is offered via SharePoint, you may evaluate CardioLog Analytics that was specifically designed for SharePoint and provides analytics offering for enterprise websites, portals and third party applications: http://www.intlock.com/intlocksite/ProductsAndServices/CardioLog/CardioLog.asp. CardioLog analytics helps enterprises to engage their customers / users and provides detailed analytics and usage reports: http://www.intlock.com/intlocksite/ProductsAndServices/CardioLog/Reports-Gallery.asp. 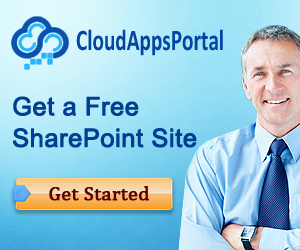 Pingback: The SharePoint Blog » SharePoint Web Analytics – Unique visitors go unexpectedly sky high!